Hong Leong Bank (HLB) has launched its fintech and start-up programme, HLB LaunchPad 2018: ACTIVATE, for the second year running. The mentorship programme not only targets aspiring local and ASEAN-based start-ups looking to break into the financial services industry, but also youth and Series-A funding companies. A main focus of HLB LaunchPad 2018: ACTIVATE is the hands-on engagement and mentorship offered by HLB’s senior management. Finalists will be given first-hand exposure to the knowledge, experience and expertise of key people driving product, business and digital development. HLB Launchpad is a public-private partnership between HLB, Cradle Fund, Malaysian Business Angel Network and the ASEAN Angels Alliance. It focuses on transforming financial services in three areas – simplifying banking today, digitising customer journeys and experience, and reimagining banking for tomorrow. The programme aims to work with start-ups that are able to solve banking challenges or provide out-of-the-box solutions that can change the way banking is performed. The bank said HLB LaunchPad 2018: ACTIVATE was launched due to the “overwhelming response” from participants including SalesCandy, PropSocial and CapitalBay, as well as partners during last year’s inaugural launch. Domenic Fuda, group managing director and CEO, HLB said the banking and financial industry not only needs to be agile and adaptive to serve the customers’ growing digital needs, but also needs to be future-ready and be innovative in thinking ahead of the curve. “HLB believes that through cultivating the best minds and collaborating with like-minded partners, we are able to transform our organisation faster – from the way we work, the way we empower our communities and business partners and most importantly, the way we serve and engage with our customers,” he added. 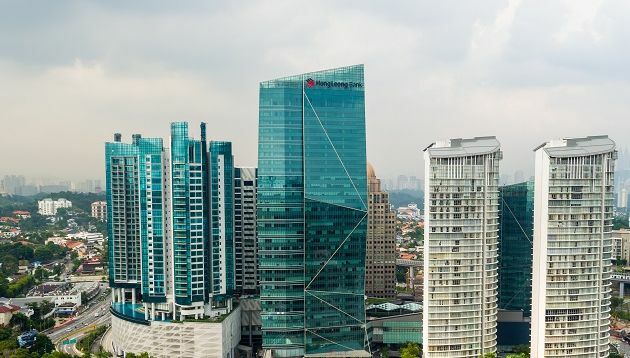 The bank said earlier this month that it has assigned half of its capital expenditure (capex), amounting to RM115 million, for the financial year ending 30 June 2019 for its digital initiatives. Fuda said the “huge allocation” was in line with strong customer adoption of its digital platform. It also unveiled Digital Day 2018 and introduced the HLB Digital Day AR challenge. The challenge uses the new Facebook augmented reality (AR) platform to showcase the digital services and products that are currently available and are under development, to engage and reward consumers in a fun way. HLB also worked with NagaDDB Tribal for a brand film to commemorate the concept of “Life365″ on Digital Day. Not only did Gap misspell "Einstein", it was also slammed for perpetuating gender stereotypes. ..
Browhaus leverages on social media, MOH thanks nurses plus more. .. Retailers who lack a cross-device perspective or measurement tool will have a distorted view on up to 41% of their online transact..